Christina Odam graduated from West Australian Academy of Performing Arts (WAAPA) studying a Bachelor of Arts in Music Theatre in 2016. Her first professional debut was in the feature film ‘Three Summers’, written and directed by Ben Elton in WA. Christina’s love of the theatre started at a very young age. Christina graduated from John Curtin College of the Arts in 2010 and was then accepted into WAAPA for the Certificate II in Music Theatre in 2011. Christina then went on to complete a Diploma in Music Theatre at Principal Academy of Dance and Theatre Arts in 2013. While at WAAPA Christina performed in various shows including Legally Blonde, The Drowsy Chaperone, The Beautiful Game and Bring it On. Since graduating from WAAPA Christina has performed professionally in Three Summers (feature film), a lead role in Summer Of Our Lives (Creative Development), performed across schools in WA for the Super Duper Book Tour (Echelon Productions) and performed in the production of ‘The Talk’ with (The Last Great Hunt). Christina is excited to be a part of ‘Mimma’. Nick is an actor and writer. He won “Best Newcomer” at the 2011 Equity Awards for his debut in The Enchanters; since then, he has been nominated for multiple Equity/Performing Arts WA awards as an actor (Between Solar Systems, Multiverse Theory In D, and Arcadia) and as a writer (Exactly Like You). His recent credits include: Bambert’s Book of Lost Stories (Helpmann Award Winner – Barking Gecko Theatre Company); The Lighthouse Girl (Black Swan State Theatre Company); Price Tag, The Crossing, Old Love (The Last Great Hunt); An Almost Perfect Thing (The Blue Room Theatre); Project Xan (jedda Productions & Perth Institute of Contemporary Art); Twelfth Night, Much Ado About Nothing, The Comedy of Errors, The Tempest (Shakespeare WA); The Phantom of the Opera (ICW); and Blood Brothers (Janus Entertainment). 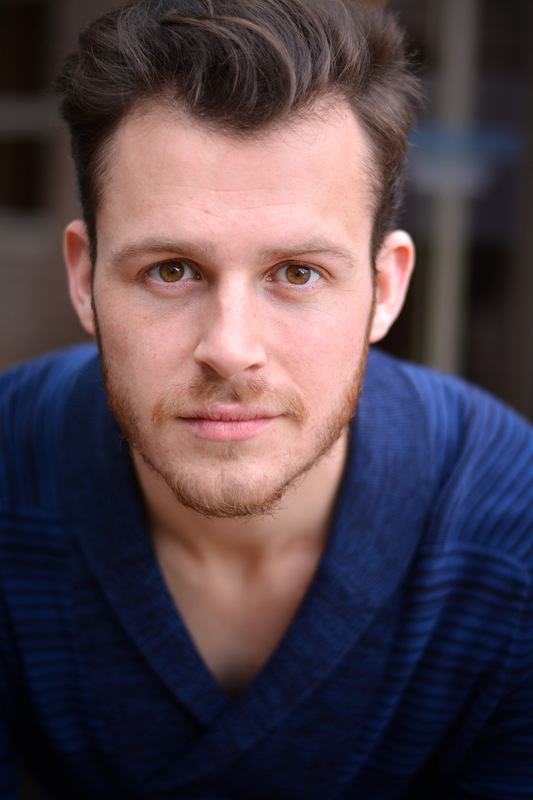 Nick is also a prolific commercial voice actor and recently co-judged the Canning Shakespeare Competition. He is represented by Artist Management Australia. Caroline has worked extensively in professional theatre for over thirty years. Past work includes 20’s and All That Jazz, The Cherry Orchard, A Midsummer Night’s Dream, Fen, Safety in Numbers (Hole In The Wall Theatre Company) Godspell, Chicago, Jack The Ripper Show, On Our Selection, A Chorus of Disapproval, Company and Charity Barnum in Barnum (National Theatre Co). Working, Can’t Pay Won’t Pay and The Kid (Winter Theatre) A Servant Of Two Masters and Moondyne Joe (Mason Millar). Equus (Perth Theatre Company). For Black Swan Theatre Company, The Merry-go-round in the Sea, Grass Roots and The Crucible. She has appeared in a number of radio plays, television series and films, including The Shark Net (A.B.C) and The Sleepover Club, the feature films Needle and Paper Planes and as Peg Mickelberg in Network nine’s Television movie The Great Mint Swindle. Most recently, Caroline has worked on the Television series The Heights and Tim Minchin’s Foxtel series Upright. Caroline appeared in The Turning for Perth International Arts Festival, for which she was awarded Best Supporting Actress in the Equity/Guild Awards 2008. Caroline was nominated for Best Supporting Actor Female for 2014 Performing Arts Awards for the role of Linda Loman in Death Of A Salesman. (Black Swan STC-2013) and again for her role as Nell in Endgame in 2017 (Black Swan STC)In 2014 Caroline performed in BSSTC world premiere production of Dust and Endgame in 2017. Caroline teaches Acting to Diploma Musical Theatre students and third year Dance students at The Western Australian Academy of Performing Arts (WAAPA). Joel graduated from the Acting program at the Western Australian Academy of Performing Arts (WAAPA) in 2014. Upon graduating, Joel made his professional debut as Henry in Next to Normalfor Black Swan State Theatre Company, for which he was awarded Best Supporting Actor and was nominated for Best Newcomer at the 2016 Performing Arts WA Awards. Joel’s recent theatre credits include Ort Flack inThat Eye, The Sky (New Theatre), Mark in Hitler’s Daughter (Monkey Baa Theatre Co) and he will soon appear as Martin in Fool for Love (Limelight on Oxford). Joel is also a regular performer at Little Fictions (Spineless Wonders) and was the Assistant Director on the critically acclaimed season of The Village Bike (Old Fitz Theatre). Joel’s film and television credits include Raf in the feature film The Greenhouseand Dan White in Secret City for Foxtel. Joel has been a proud member of Equity since 2014. Perth born and raised, Mia has been performing since a young age. 6 time West Australian State Champion Irish Dancer followed by graduating from John Curtin College of the Arts in 2008. Mia then continued on to graduate from the West Australian Academy of Performing Arts in 2012 after completing a Bachelor of Arts in Music Theatre. 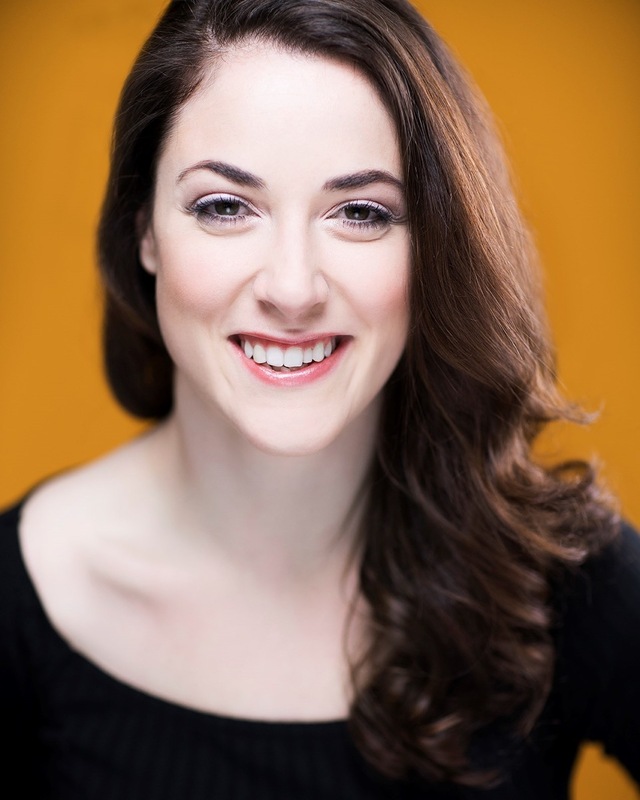 Since graduating Mia has toured nationally with theatre companies Echelon Productions and Brainstorm Productions. Other credits include Rob Guest Endowment semi finalist 2013, Mathew Robinsons New Voices 2015 and Love Child 2016. 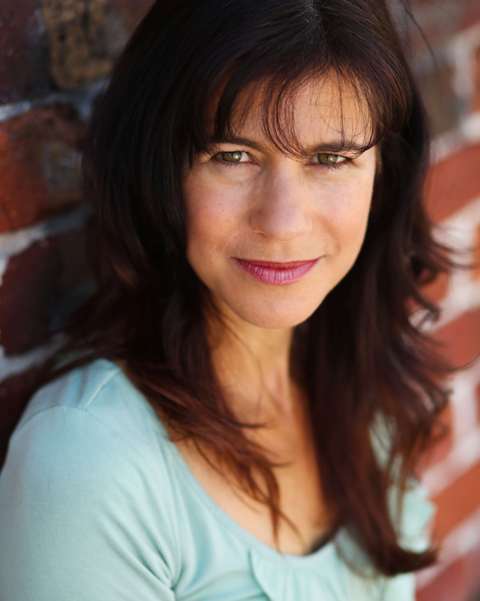 Mia also works closely with children’s theatre company, Pistachio Entertainment. Cameron graduated from the Western Australian Academy of Performing Arts (WAAPA) in 2017, having completed a Cert. IV (Classic Voice ’13), Cert. II (Music Theatre ’14) and a Bachelor of Arts (Music Theatre ’17). In his time at WAAPA, Cameron portrayed the roles of Tom Collins - Rent (dir. Adam Mitchell), Nick Bottom - A Midsummer Night’s Dream (dir. Trent Baker), Thomas Danforth - The Crucible (dir. Crispin Taylor), Bill Sweeney - Heathers the Musical (dir. Andrew Lewis), Abner Dillon - 42nd Street (dir. Jason Langley) and was in the ensembles of Dido & Aeneas (dir. Brendan Hansen), Bring It On the Musical (dir. Jay James Moody) and Chicago (dir. Crispin Taylor). Giuseppe Rotondella is a proud West Aussie plying away his trade on the eastern sea board. He has recently starred as Edward Ridgeway for Black Swans production of “Switzerland” directed by Lawrie Cullen-Tait. He has also recently toured around regional Western Australia, playing Charlie in Black Swans home grown production of “The Lighthouse Girl”directed by Stuart Halusz. Giuseppe formally trained as an actor at WAAPAand graduated in 2016, winning the Leslie Anderson Awardfor best new-comer to the Australian entertainment industry and since graduating, Giuseppe has landed several roles on television, making appearances in “Deadly Woman” and Sony Pictures new production “Reckoning”Produced by David Eick. Giuseppe also enjoys contributing to Sydney’s Independent Theatre sector, with a recent appearance as Bottom in a Red Line production of “Shakespeare by Night” at the old Fitz theatre. Giuseppe has also worked extensively with the emerging directing students at NIDAand has recently helped devise a play with Steven Sewell. “Mimma” marks Giuseppe’s first attempt at undertaking a Musical, but is very excited by the prospects and is thrilled to be a part of a story so central to his own narrative. Graduating from the Royal Academy of Dramatic Art, London, Alinta’s UK credits include The Canterbury Tales, Snow White and the Seven Dwarvesand a national tour of The Sound of Music.In Perth she performed with Deckchair, Hole in the Wall and Playhouse theatres before moving to Sydney. In the Eastern states she performed with Rockdale Opera, (Ruddigore, Die Fledermaus), in TV drama and various commercials. Alinta was in the original Australian productions of Buddy, Aspects of Love, and Disney’s Beauty and the Beast(featuring Hugh Jackman) in which she played Babette, the French feather duster! In the last decade Alinta has appeared in numerous plays, musicals, cabaret, and TV commercials in Perth. A regular performer with Agelink Theatre, Alinta appeared in the King Edward Memorial Hospital Centenary production, “ALife in Their Hands”. In 2014 Alinta toured to York in the UK with another Agelink production, the acclaimed Cis and Barbiche, earning a third “Best Supporting Actress” nomination for her multiple roles in that production. This December, Alinta will be touring to libraries and community centres with Agelink’s Christmas musical entertainment, Unforgettable, featuring music and stories of the 1950s. Other musical roles Alinta has relished include, Joannein Company, Madame Giryin Phantom of the Operaand Aunt Ellerin Oklahoma! at the Regal Theatre. When not performing, Alinta teaches voice at Perth College and sings with the WASO chorus which toured China earlier this year. 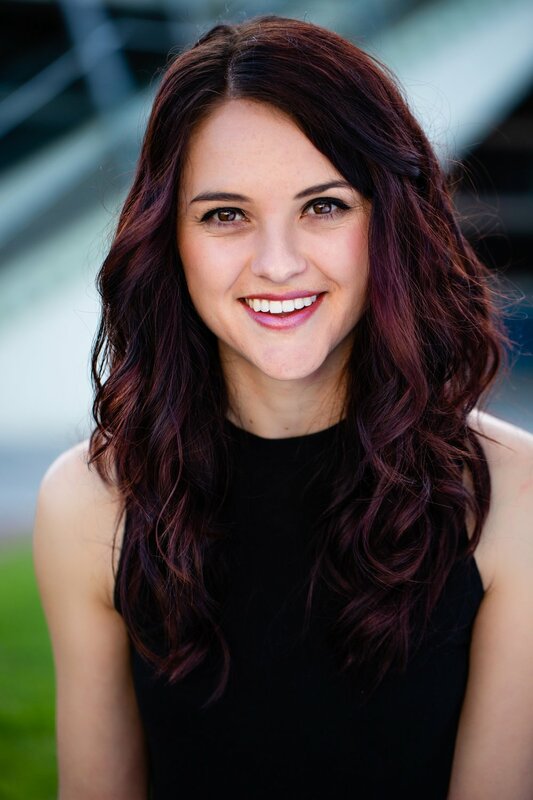 2018 WAAPA graduate Amy Fortnum began her formal training in 2013 with a Bachelor of Arts in Classical Voice. 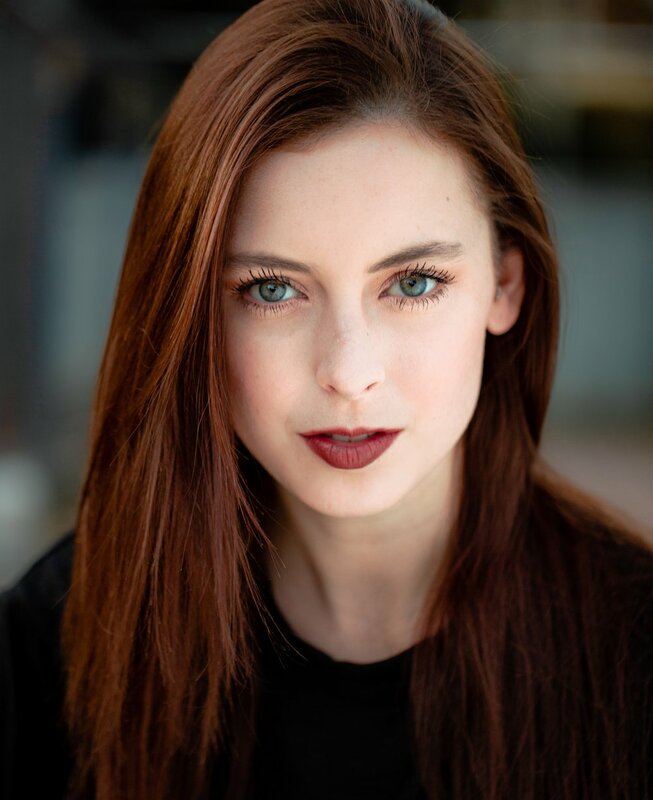 Integrating this experience with fifteen years of tuition at Jody Marshall Dance Company, local amateur theatre productions and corporate performances, she was then accepted into WAAPA’s Music Theatre Bachelor degree. Amy’s WAAPA highlights include starring as leading lady Julie Jordan in their 2018 production of Carousel at the Regal Theatre, and as supporting female Camila Rosario in Lin-Manuel Miranda’s musical In The Heights. Amy has been described as “possessing a powerful, emotional voice” - a credit to her seven years of intensive study in music. She recently made her Fringe World debut in a self devised cabaret duo 'Golden Age Girls’ which previously won the prestigious Julie Michael Cabaret Award. She is thrilled to be back at the Regal to make her professional debut in Mimma. Sydney born tenor, Nathan Stark graduated in Music Theatre from the West Australian Academy of Performing Arts and has since been forging a unique career as a "cross-over" artist. 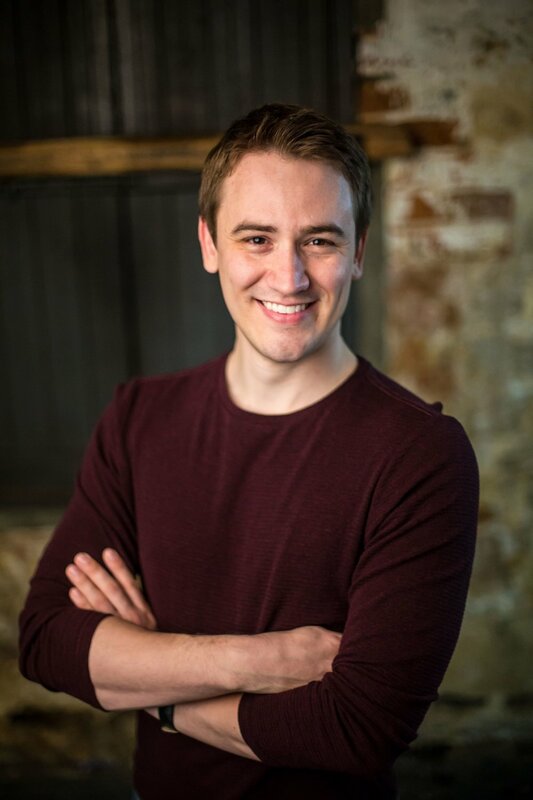 Nathan sings with the West Australian Opera Chorus and has performed in their productions of Don Giovanni 2018, The Cunning Little Vixen 2018, Opera in the Park: La Boheme 2018, Lucia Di Lammermoor 2017 and the world premiere Opera Conference production of The Merry Widow 2017 directed by Graeme Murphy. In 2018, Nathan made his debut with Black Swan State Theatre Company playing Guissepe Zangara in Assassins, directed by Roger Hodgman. In concert, he has appeared as special guest alongside Silvie Paladino in the Melbourne Art Centre’s Morning Melodies - Christmas Melodies at Hamer Hall in 2017. Whilst at WAAPA, Nathan's highlights were playing Mister Cellophane in The World Goes Round directed by Nancye Hayes, as well as Daniel Gillen in the Australian premiere of The Beautiful Game directed by Meryl Tankard. Nathan is also a long serving tutor with the Australian Girls Choir and has regularly conducted at the Perth Concert Hall. In 2019 Nathan makes his principal debut with West Australian Opera as Anthony Hope in Sweeney Todd. Perth born actor, comedian and writer Geoff Kelso has had a couple of highlights in his long career. Two years out of NIDA Geoff played the pivotal role of Tsar Ivan in Louis Nowra’s Inner Voices at the Hole in The Wall Theatre in Leederville, and won the 1977 WA Best Actor and Best New Talent Awards for his performance. For a change of pace he spent the 1980s in Sydney & Melbourne as a comedian and writer working with other funny people like Flacco, Shane Bourne, Max Gillies and the great and sadly missed John Clarke. In 1987 Geoff, Jonathon Biggins and Gretel Killeen teamed up on the Mike Walsh Show and won a Penguin TV Award for their satirical Bicentennial Rap. Family ties saw him return to Perth and in Black Swan Theatre Company’s inaugural production, Twelfth Night, he played Malvolio and won a 1991 Swan Gold Theatre Award. He has since performed in over 20 plays for Black Swan including Sister Girl, Waiting For Godot, The Floating World, Welcome To Broome, ART, Copenhagen, Jandamarra and Tim Winton’s first play Rising Water. In 2003 he played Prime Minister John Curtin in Shadow of The Eagle for the Perth Theatre Company, won the Best Actor WA Equity Award for his performance and the play toured nationally in 2004. Geoff has also appeared for Belvoir St Theatre in A Royal Commission into The Australian Economy (written by John Clarke), Dead Heart, Up The Road and As You Like It. 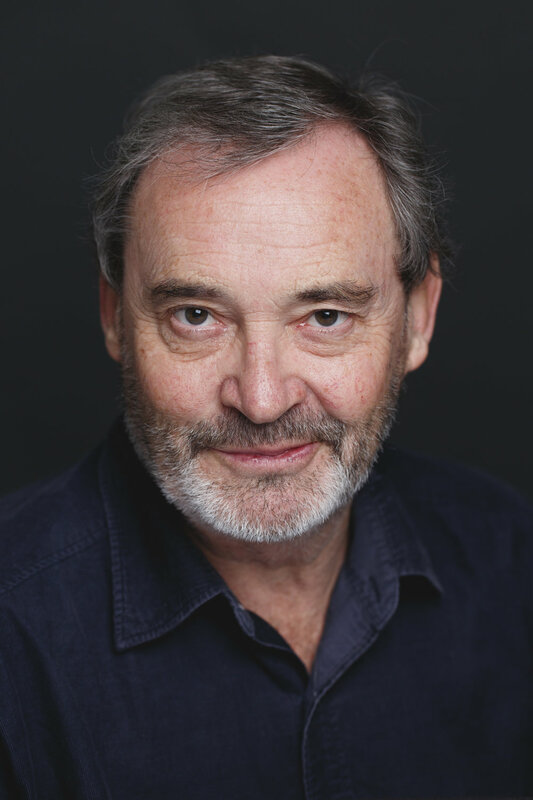 For the Sydney Theatre Company he played opposite Phillip Quast in Democracy directed by the Michael Blakemore, and in 2007 he combined his dramatic and comic skills to play Spike Milligan in Ying Tong – A Walk With Goons which also toured nationally. Most recently for Black Swan he has played Azdak in The Caucasian Chalk Circle, Hamm in Endgame and in 2018 Sam Byck in the Sondheim musical Assassins. A proud Wiradjuri man, Jarrod is WAAPA’s first Indigenous Musical Theatre Graduate. Born and raised in Orange, country NSW, Jarrod earned a full scholarship to the Regional Conservatorium to study music theatre and classical voice, with national and international performances. 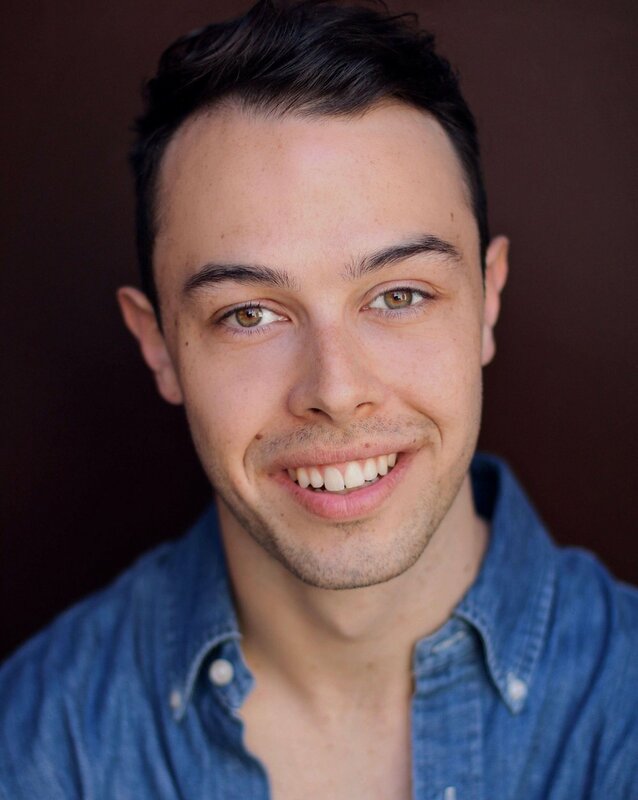 Whilst at WAAPA, Jarrod played ‘Same’ in Lord of the Flies, ‘Black Fox’ in Bloody Bloody Andrew Jackson, ‘Louise Soldier (Pas de deux dancer)’ in Carousel and most notably, the lead role of ‘George’ in Sunday in the Park with George. Born in Perth, Jess began singing and dancing at a young age before attending John Curtin College of The Arts on a Musical Theatre scholarship. She began studying Contemporary Music at WAAPA and playing in indie rock bands around Perth before signing to Sony as a keyboardist and backing singer. She toured Australia numerous times supporting bands such as Imagine Dragons and playing music festivals such as BigSound and Southbound. In 2015, she left the band to pursue a career in theatre and was accepted in to the Bachelor of Music Theatre at WAAPA. Whilst studying she played roles such as Abuela Claudia in In The Heights (dir. Crispin Taylor, choreography. Jodie Bickle) and Carrie Pipperidge in Carousel (dir. Jason Langley, choreography. Cameron Mitchell). She won the Julie Michael Cabaret Award in her graduating year for her self devised piece Golden Age Girls which she then performed at the Perth Fringe Festival. She is excited to make her professional debut in MIMMA, a Musical of War & Friendship. Highlights of Ingle’s long acting career include; the international tour of his multi-award-winning one-man show, The Getaway Bus; playing Andrew Aguecheek in the Black Swan production of Twelfth Night and his performance as Richard, the diabetic going blind inCrystal Clear. He has performed in over 50 professional theatre productions, many films, TV series (Prisoner, Neighbours, Ship to Shore) and commercials, as well as radio drama, voiceovers and improvisational dinner theatre. Ingle is also a successful playwright. His work has been performed all over the country. He is twice winner of the Premier’s Award for best script and in 2012 he won the Richard Burton Playwriting Award. He has a PhD from Murdoch University and has taught drama and scriptwriting at several universities.